You only turn sixteen once, so make it even sweeter with a grand entrance and exit in the most classy and luxurious limousine fit for a celebrity turning sweet 16! With Action Limo NJ It will be a birthday you and your friends will never forget! Action Limousine in NJ is the leading sweet 16 and quinceanera limo service provider who specializes in offering sweet 16 limousine services. The day of your sweet 16 or Quinceanera, Action Limo will provide you with professional limousine services. Action Limo can customize your limo package so that you have everything you are looking for to make your sweet 16 or Quinceanera an event to remember. Action Limousine provides a relaxing NJ limo for your unforgettable sweet 16 or Quinceanera. With our clean and well kept fleet your peers will be in awe of your fantastic entrance on your birthday! Another great reason our NJ limousine service is unmatched is because of our experienced chauffeurs. Our professional drivers have been providing NJ limo services for many years and know exactly how to get you to and from your destination on time, every time. 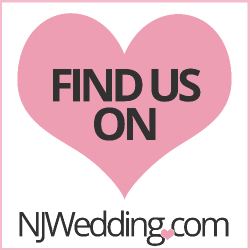 Rent a NJ Sweet 16 Limo, Chrysler Limousine or SUV Limousine to make your Sweet 16 or Quinceanera celebration an event to remember!